Laws governing medical records retrieval vary considerably from state to state. Because of privacy concerns and the need to grant patients access to their own records, these laws are also in near-constant flux. A basic search for “medical records fees” reveals state laws sometimes change as often as month to month. At this very moment, somewhere in the United States, a statute governing medical records access is likely under review or revision. Much of the variation in state statutes and regulations addresses the fees involved with medical record copying and retrieval, and the variations can be extreme. 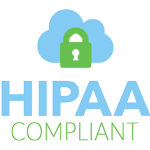 While HIPAA regulations limit charges to those incurred in the copying and transfer of medical records, those costs are flexible. Different states charge different rates for copies, and HIPAA allows charges for labor as well as materials. Some states set a specific cap on the cost of medical record copying. Others only apply a cap or waiver to copies associated with a Social Security-related request. Some states set specific dollar amounts per page. Some only mandate “reasonable fees” for copying records. Sales tax and postage are up for grabs. To complicate matters further, statutes may be different for doctors’ offices than they are for hospitals. Because the variations are so extensive and so fluid, it’s easy to get overcharged for medical records, unless you have assistance from someone savvy about all the variations. If you’re based in Nebraska, you might know all about requesting records in Nebraska, but what if your client needs records from, say, North Dakota? The Records Company has compliance officers who track legal changes nationwide to maintain the most current knowledge about each state’s statutes and regulations. They attend seminars and continuing education courses on HIPAA regulation, privacy, and security concerns to promote a comprehensive understanding of the latest statutory updates all over the United States. Compliance officers also conduct seminars to pass along their knowledge and experience. Armed with this knowledge, The Records Company provides a single stop to handle all the details of your request. Fees are assessed as a flat rate per request, and the rate is determined by the number of requests a client submits. We look out for your bottom line by ensuring you’re paying a reasonable, cost-based rate per request—with no added service charges—wherever you are and wherever your records are.